Warning: This post does have some graphic pictures. If you are squeamish at all I suggest you either skip this post or hurry past the pictures. I have always known that I wanted to do a home birth. I wanted to do it all natural without meds or any intervention at all. All my friends thought I was crazy for wanting this. 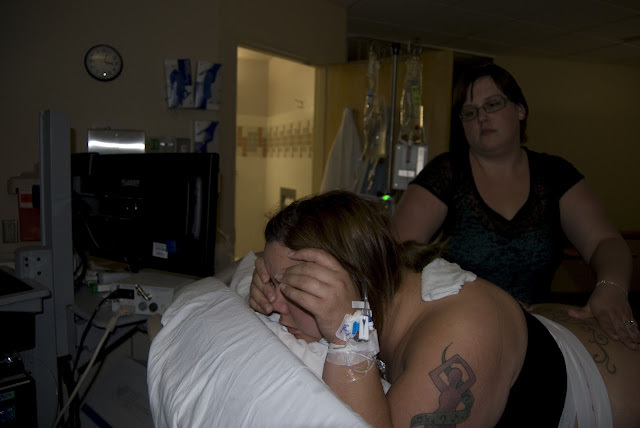 Up until I met my next door neighbor, I thought that I would have to have a hospital birth. I didn’t know how to find midwives or if Washington even had midwifes. She opened that door for me. I started researching midwives before I even got pregnant. When I finally did get pregnant, the next step was convincing my husband that it was safe and that this is what I wanted to do. Yes, we had a few arguments over this. He was dead set against home birth. He wanted me to birth in a hospital because he did not think home birth was safe. Finally we agreed that I would meet with doctors if he would meet with midwives. Well we never did interview doctors. He went with me to interview our first midwife and left completely sold on the idea of a safe home birth provided I was low risk throughout my pregnancy. 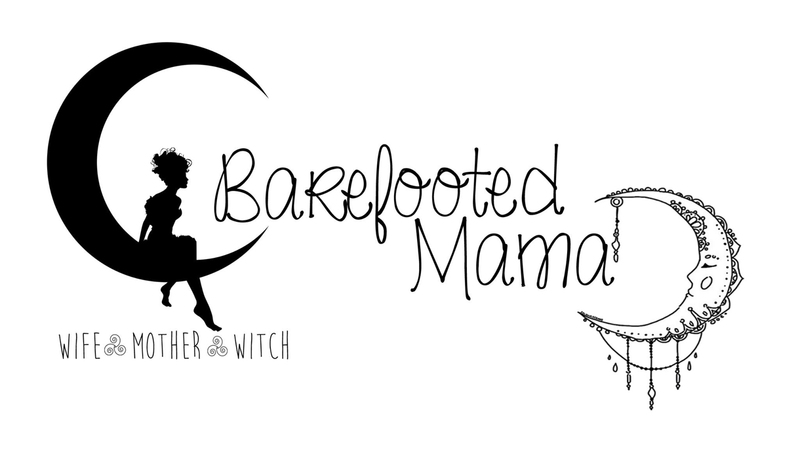 We finally found our midwife and started making preparations for our home birth from there. My entire pregnancy was low risk. My only complaints were the inflamed sinuses I had since I got pregnant, the insomnia, and PUPPPs. 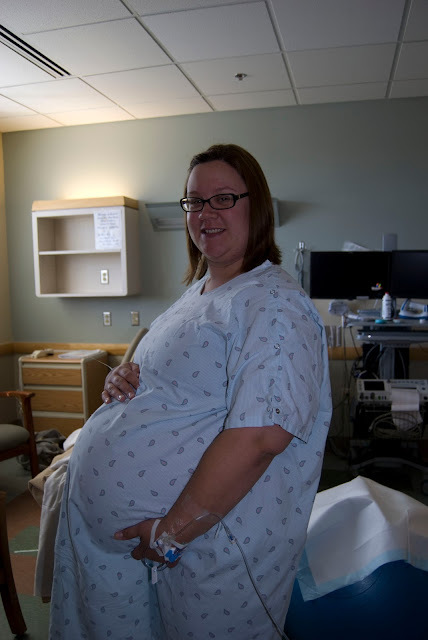 I was also border line for Gestational Diabetes. Which, looking back now makes sense for how big my little chunk-a-monk came out being. On Sunday April 22, I was having issues’ sleeping (which was totally normal). I finally gave up and moved out to the couch so my husband could sleep since he had to work. All I was doing was tossing and turning. Throughout the night I was have Braxton Hicks contractions, I would have one ever hour or two, so I did not think anything of it. At 8:20ish I got up used the restroom and went back to the couch and fell asleep for another 20 minutes. As I went to adjust positions on the couch I felt a trickle. All I could think was “what the hell I just used the bathroom, I can’t need to go again!” As I went to get off the couch I thought I was losing my bladder (which I was told was normal during pregnancy). When I finally managed to stand up all of a sudden it just let lose. I knew then that I was not peeing, that my water must have broken. I called out to my husband and grabbed my phone to call my midwife. All I could think was “damn it, I only had 4 more days left till I was 37 weeks and could birth at home.” I told my husband that I thought my water just broke. He told me to quit standing there and go to the bathroom. To which I replied that until it stopped I couldn’t move. I felt stuck standing there until it was done. My midwife answered her phone and I told her what I thought was going on. She was at an appointment and asked if I thought I could wait for her to get there at 10:30. I told her of course that I didn’t want to rush to the hospital if I didn’t need to. At that point I still was not 100% sure that it was really my water that broke (even though I knew it was). I called my next door neighbor and doula (Charm) and had her come over. I was sitting in my computer chair relaxing while my husband rushed around packing a hospital bag. The bag we never packed because we were having a home birth. When Charm got to my home I went to stand up and more water gushed out. Seriously it was like the classical movie scenes you see the way my water kept coming out every time I stood up. I then realized this was happening, and called my sister (Ashley). I told her what was going on and that I needed her to come up and be here with me. She lives an hour away. She made it to my home in about 30 minutes and even beat my midwife to my home. Ginger (my midwife) showed up and we determined that yes my water broke. My baby was going to need to come out now and unfortunately I was going to have to have a hospital birth because I was not far enough along to have a home birth. So we piled into our cars and drove the 2 minutes to the hospital. I was taken up to L&D to an exam room where I was going to be checked. With my Charm (my neighbor), Ashley (my sister), my husband, and Ginger in the room with me, I met my doctor and a nurse that would be delivering my baby. I had to lay back on the bed to get check. The doctor was not nice about it. He took three fingers and rammed them up inside me, to the point I was screaming stop. His only saving grace was that he stopped when I asked. I yelled at him to take it slower that it really hurt and I was really sensitive down there. He was not happy about it and told me that it does hurt and he needed to check me. But he did go slower and it was more manageable then. I was 1cm and 80% effaced and not contracting at all. I was told I would have to have pitocin to get my contractions to start. 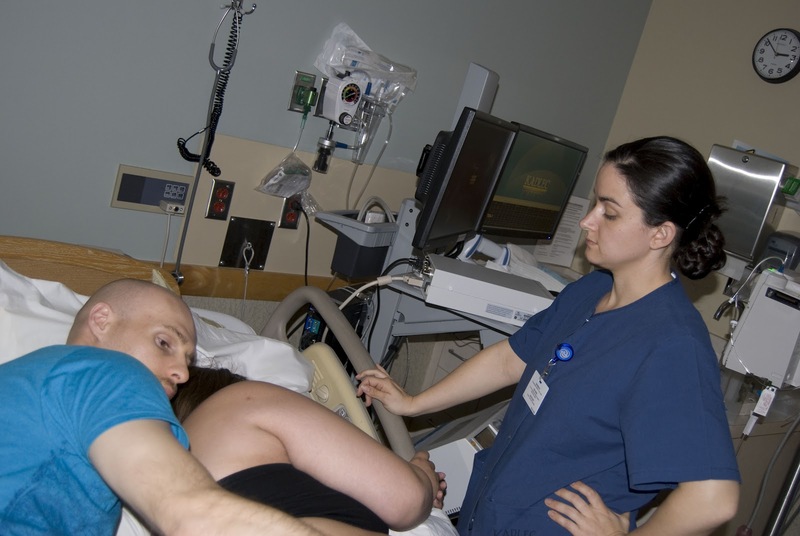 Since I still wanted to do an all natural birth the nurse said we would do a slow pit that way we could hopefully get my contractions to come regularly and then we could ease off of the pit. I looked at Ginger and she said she thought it would be best, so I agreed. Before moving me to my room, Ginger got called to another birth. I had a good support net with me already, so when she left she had me promise to call her with updates as they happened. Charm would be the one who would update her though because I was way too busy to think about it. It seemed like only a matter of hours to me before things really got going and it was time to push. In all actuality I labored for almost 24hrs from the time my water broke to the time he was born. My water broke at 8:49am Sunday and little man would enter the world at 8:16am. The labor in its self was not bad at all. I had a few visitors come and go. I was able to eat solid foods until I couldn’t talk through my contractions anymore. I even got to labor how I wanted to. 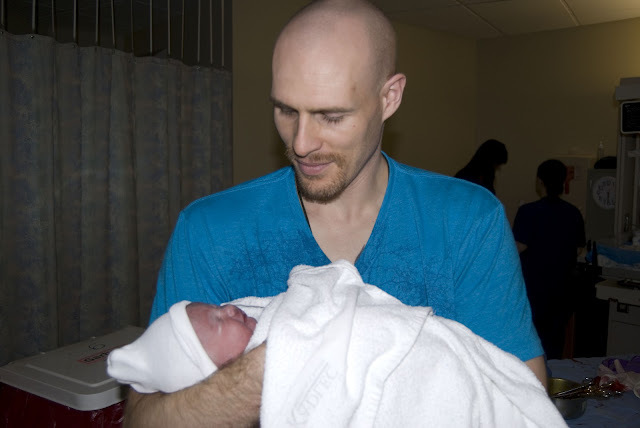 I was able to labor in the tub for a little bit, on the birthing ball, hanging around my husband’s neck, on the toilet, on all fours, on my sides and eventually on my back. My little man gave the nurses a run for their money though. He kept knocking the heart monitor off. To the point where my deliver doctor came in and grabbed my tummy, lifted it up and shoved the heart monitor onto it all while trying to yell at the nurse about not being able to find the heart beat and keep it going. I remember being in a lot of pain because of that. A few weeks prior I had a stretch mark that ruptured and bruised really badly in the same spot I was just grabbed and had the monitor shoved onto. The doctor left with the nurse for a moment, and when she came back in it was without him. I would later find out that she kicked him out of my room until they absolutely needed him. Needless to say I was really relieved he was gone. Contracting while doubling over in pain from being man handled was not fun at all. Soon after that I started contracting with the urge to push. I would labor like that standing up for well over an hour. My poor husband held me upright the entire time. Finally they convinced me to move to the bed and get on all fours. I labored like that for another hour before they suggested that I lay on my side to try and deliver him. At first I did not want to move. I felt stuck in that position, but I knew that I needed to move because my knees were hurting so badly. When I finally got on my side, baby boy finally started to play peek-a-boo. At that point I remember being really hungry and my energy dropped. The nurse had Charm go get a French Cherry Icy for me to sip on. It did the trick; it had just enough sugar in it to give me a small burst of energy. Half an hour later everyone helped me to the other side because I had stalled out. Same thing would happen on this side. I was however crowning enough the nurse called for the doctor. After about 20 more minutes of pushing, he had me get on my back to try. I pushed like that for what seemed forever. It was the one position I did not want to be in or like being in. I started losing energy again, so the doctor suggested that we try the vacuum. I looked at my husband, Sister, and Charm to see what they thought. They all said they thought it was for the best. So I agreed. I felt him slip it onto my baby’s head and a few seconds later I was pushing again. I got his head half way out before losing the urge to push. Thankfully another urge to push quickly came. All it took was 2 pushes after getting his head halfway out for baby boy to come all the way out. It was the worst burning sensation I have ever felt. I remember telling everyone that it burned. I would later find out that had gotten stuck and tore me from the inside out, which made the ring of fire sensation all that much worse. Once they finished clearing his pathway and I heard him crying they placed him on my chest. All I could say was my baby, my baby, my baby. Then I looked at my husband and told him it was our baby. The doctor waited just long enough for the cord to finish pulsing before cutting it. He didn’t let my husband cut the cord like he wanted to. 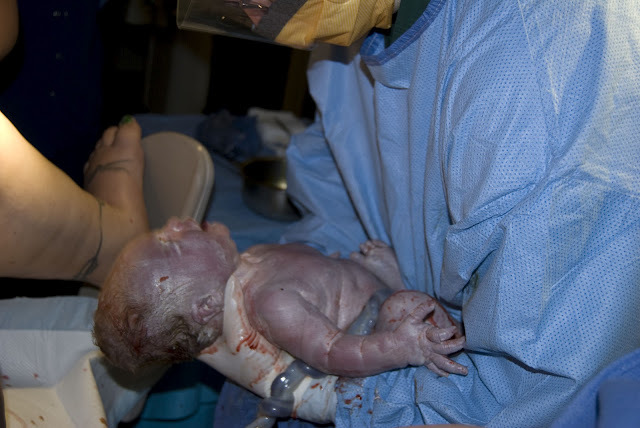 He would later claim that it was because he needed to get the placenta out as fast as possible so he could sow me up. Thankfully a nurse let my husband finish cutting the cord down after they clamped it off. Once I was all sown up, they did the normal pushing on my stomach to make my uterus harden back up. I won’t lie; it was really uncomfortable and did not feel all that great. When that was finally done I was able to try to breast feed. My milk had yet to come in so I had to supplement with a bottle and formula at the hospital. His blood sugar was low so it was either that or they would have taken him and put him in the NICU. I quickly agreed to do feed him that way. I did not want to be separated from him. The next few days were a complete blur. Finally it was time to go home. I was so relieved to be out of the hospital and in the comfort of my own home. It may have not been the birth I originally thought I would have, but it was the birth I wanted. I brought our son into this world completely natural. I could not be happier that I was able to do this not just for me but for my son too. 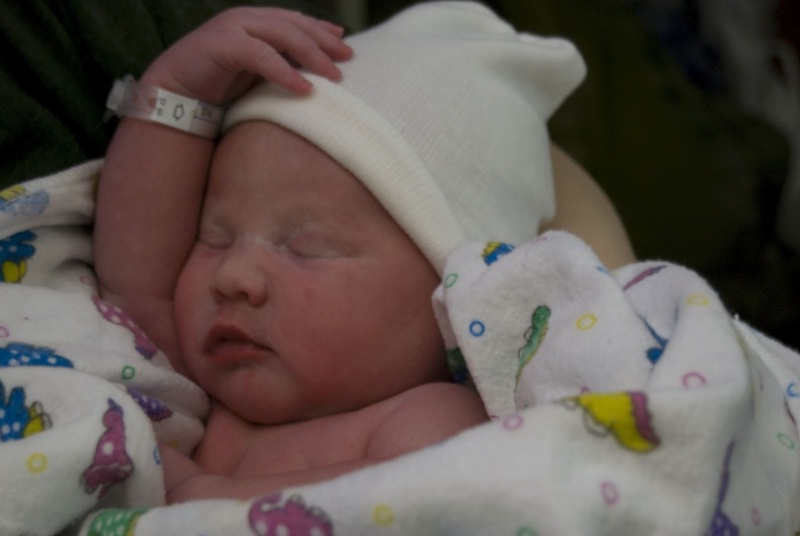 Kaileb Connor was born at 8:16am on April 23, 2012 weighing in at 8lbs 12oz, 21 inches long. He is the love of our lives. A quick hello....Kaileb is here!